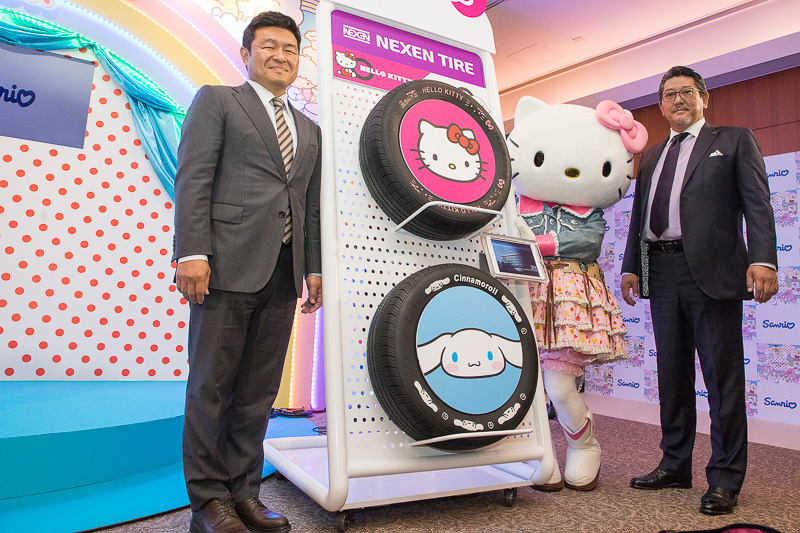 Manufactured by Nexan tires, it is the world's first character themed automobile tire. 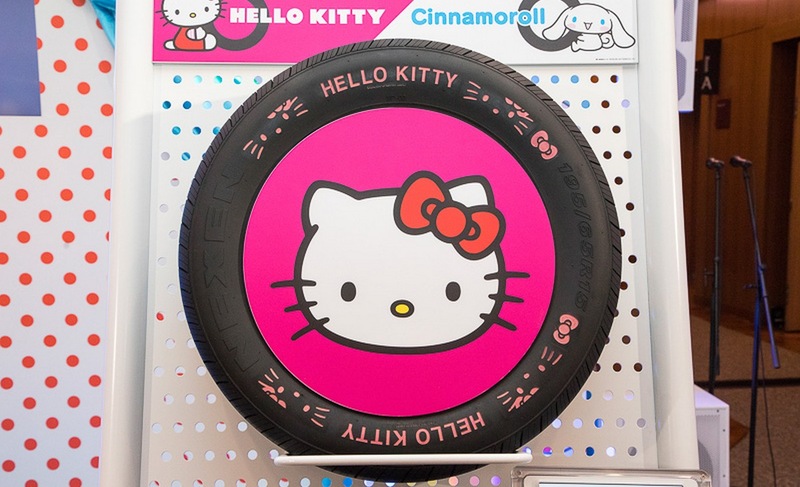 Along with the Hello Kitty logo the face parts – nose, whiskers and eyes are laser etched on the tire and painted in pink. 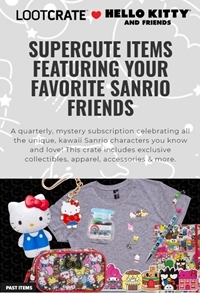 A true treat for Hello Kitty fans, the company the tire would be hitting stores later in the summer of 2018.